In 5th grade of elementary school, she made an appearance in Japan Television’s “Nihon Chibikko Kayou Taishou (日本ちびっこ歌謡大賞)”. She was scouted when she won the Grand prix singing “Ringo Oiwake”. 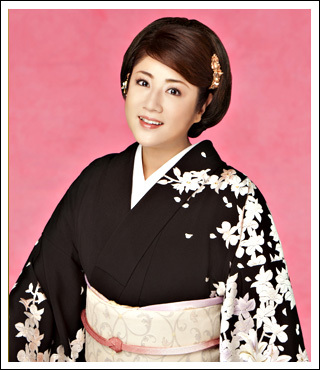 After 6 years of intensive vocal training, Hiroko debuted with the song “Gojinka Tsukiyo (御神火月夜)” on Feb. 21st 1990. She also won various rookie awards in the same year. The release in Mar. 1994, the song “Kaikyou Wakare Machi (海峡わかれ町)”, supported by karaoke fans, sold over 400,000 copies. From 1992 spring to 1997, she was a radio DJ for TBS Radio “Isuzu Utau Heddoraito (いすゞ歌うヘッドライト)”. She was known for having the longest record to be in charge of this program.